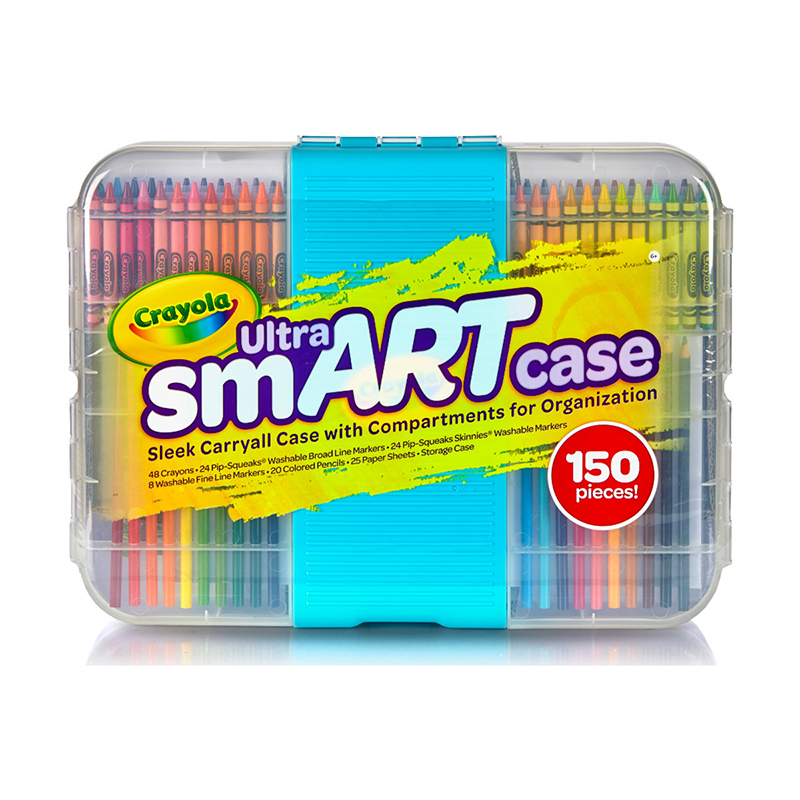 The Crayola Ultra smART Case is an amazing collection of art products in a ultra-cool case! 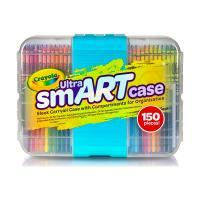 Includes a variety of Crayola favorites in a sleek, contemporary case with compartments that slide out and fold in. It’s the fun way to store and transport creative play! Includes 48 Crayons, 24 Pip-Squeaks Broad Line and 24 Pip-Squeaks Skinnies, 8 Fine Line Markers, 20 Long Colored Pencils and 25 Sheets of 10" x 13" paper. 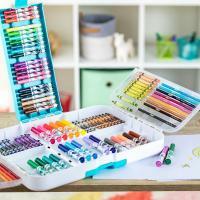 Carry your Crayola art supplies in style! This cool, contemporary case has compartments that slide out and fold in to keep your creative tools organized and secure wherever you go! Crayola Crayons provide color-loving kids with hues that feature vibrant, long-lasting color. Amp up school projects and artistic endeavors with high-quality results. A variety of bright colors in this pack invites imaginative expression. 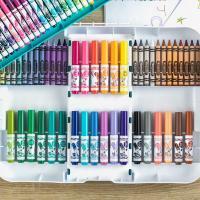 Crayola Pip-Squeaks Markers and Fine Line Markers offer rich, brilliant color that’s also washable! 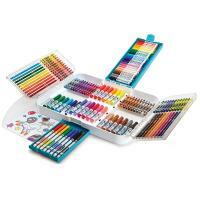 Pack includes both marker varieties that are great for any project. Crayola Colored Pencils offer smooth, brilliant color and they’re pre-sharpened to use right away!